It’s almost C H R I S T M A S !! Sure, the holidays are about joy and cheer and togetherness but they are also about FUN and what better way to have fun than to DRANKK! 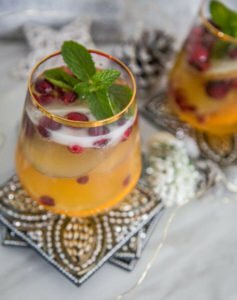 This Christmas sangria is simple to make and sooooo versatile. Don’t like apple cider? Use white grape juice or pear nectar. Don’t like ginger beer? Use champagne or prosecco! 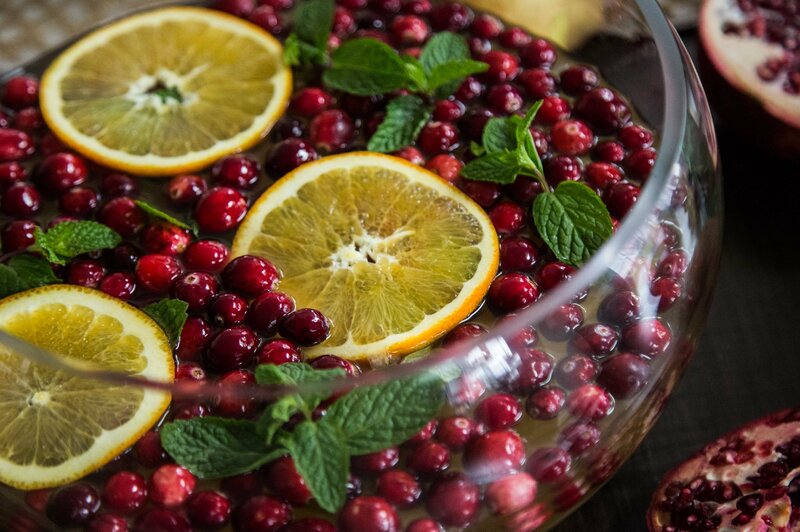 You can honestly change around ANY ingredient and this will be just as fabulous!This punch can be served in a bowl, or in pitchers or one of those beautiful glass drink dispensers. I like serving it in a giant bowl and keeping more batches in sealed jugs in the fridge so I can refill as I go. 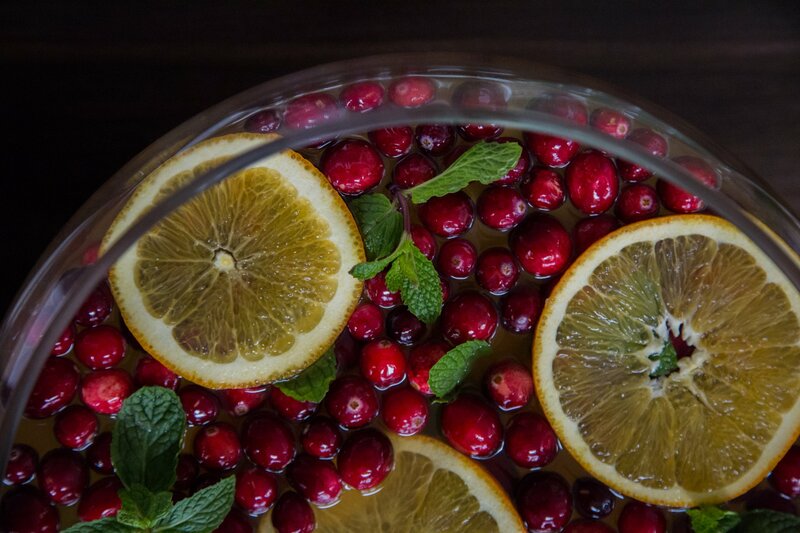 Pour all ingredients into a big punch bowl or split up into pitchers. 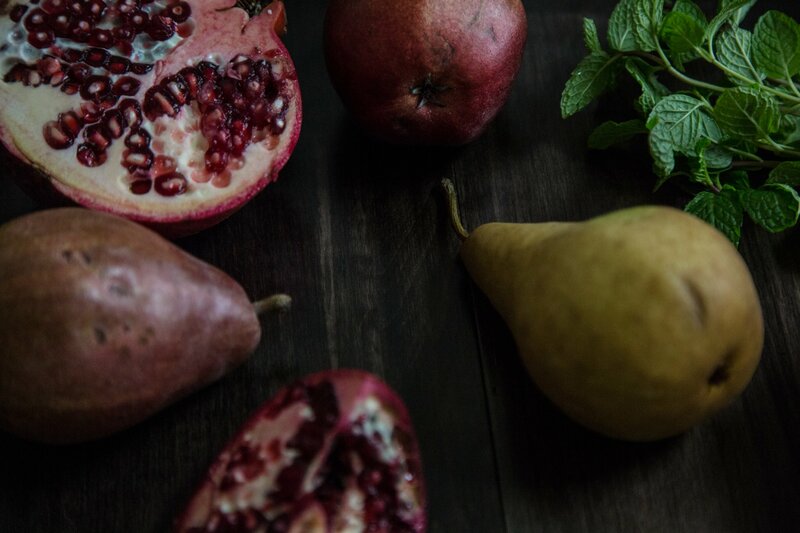 Garnish with Cranberries, mint, sliced oranges, pears, pomegranates and whatever else your heart desires!